Do you know anyone in your community who just had a stroke? Your answer will most likely be a yes. According to the records of the American Heart Association, there are about 795,000 Americans who are afflicted with the stroke each year. This data translates to around 130,000 people fatally hit by stroke every year. For stroke survivors, they have treatments like the Physical Therapy in Brooklyn, New York which assist in getting back that independent life. Narrowing this information to you, it’s factual to say that even you can be attacked by stroke anytime. There’s good news, however. You have a vast of rehabilitation resources at Road to Recovery Physical and Occupational Therapy for stroke attacks. Moreover, you can prevent the fatal results of stroke by spotting its early signs. A feeling of numbness or weakness occurs on either side of your body or face. Try lifting both your hands or striking a smile before a mirror. If you’re unable to lift one arm or only one corner of your smile raises, you’re most likely having a stroke. If your loved one makes a similar complaint of numbness, let them perform the lifting or smiling activity. You will experience losing vision in either or both your eyes. If not the loss, you will have the doubled vision. The vision deficiency doesn’t go away immediately. You will experience difficulty in speaking or pronouncing words. In another instance, you may also find it difficult to comprehend a message spoken to you. To spot this in another person, let them repeat a sentence from you. If they’re unable to exactly say it, contact emergency help right away. You will feel suddenly dizzy like the world is swirling around you. You may lose your balance in the process. If you’re sensing that there’s a quaking of things surrounding you, check with others if they also feel the same way. If not, it can be a symptom of stroke. 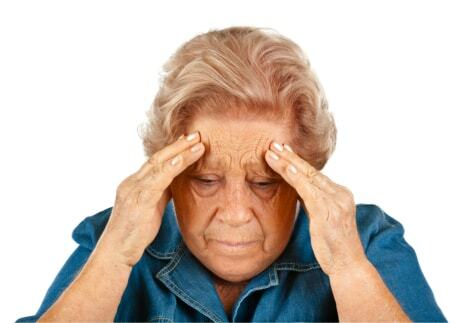 Another very common sign of stroke is a headache that continues to torture you. It’s a recurring headache that doesn’t leave you at once. If you’re going through this kind of pain, better have a consultation with your physician the soonest possible time. Stroke is not something that should intimidate you. Educate yourself about this condition and you’ll have a clear grasp of how to address it or at the very least, be prepared if it does happen to you or someone you love. Part of winning against stroke is in knowing where to get help such as availing the Occupational Therapy in Williamsburg. If heart ailments run in the family, all the more that you should initiate gathering more information about stroke. Once you spot the sign, get immediate help right away whether you’re sure if it’s stroke or not. You’ll save more lives in early detection rather than waiting for the sure symptom. This entry was posted in Stroke and tagged Occupational Therapy, Physical Therapy, Stroke Attacks. Bookmark the permalink.